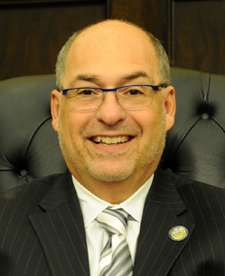 Nicholas W. Futules currently serves as the Vice President of Allegheny County Council. In November of 2007, Nicholas Futules (D) was elected to Allegheny County Council to represent District 7. Prior to his position as a County Council Member, he was a former resident of Verona. While living there, he served on Verona Council for eight years, and over those years, he served as the chair of the Budget and Finance Committee, as well as a member of four other additional committees. In 2006, Nick was elected to the Verona Democratic Committee. He is also a former member of the Verona Zoning Board and the Greek Orthodox Church of Oakmont's Board of Directors. Nick attended the Community College of Allegheny County, Boyce Campus, where he majored in Business Management and Culinary Arts. His primary career is as the Corporate Business Manager, Secretary, and Treasurer of the Futules' Harmar House, a banquet facility and catering business that he co-owns with his brother, Tony. Nick is also a co-owner of A.K. Property's Corporation, Futules Excavation and demolition and Futules Properties. Additionally, Nick spent 26 years as the co-owner of the former Futules' Restaurant in Verona, a business started by his grandparents in 1906. Nick, is a lifelong resident of District 7, where he resides with his wife Michele. He has three children: Nicholas, Zoe, and Billy and a granddaughter Lily.